Are you into stock trading? If yes, then you might have used many apps to track the stock market and got frustrated. Most apps put your patience to test as they don’t perform well. No more worries. Here comes Edelweiss Mobile Trader for your rescue. It is the highest rated indian share market live trading app on play store (and also available on IOS) that allows you to trade across NSE, BSE, MCX and NCDEX in Indian Stock Market. Falling under the Finance category, Edelweiss Mobile Trader can be downloaded on all Android and iOS devices. It is powered by Edelweiss Group, one of the leading diversified financial services company in India. Edelweiss Mobile Trader, the unlimited markets app lets you to see the live streaming prices. The markets section of the app is very vast with much detailed market stats and map, events calendar, FII DII flows, live market commentary, sector performance and more. The app allows you to track & trade across Equity, Derivatives, Commodity, Currency, NCDs, Bonds, Mutual Funds and e-SIP. Edelweiss Mobile Trader provides an easy access to real-time streaming quotes (NSE India, BSE India, MCX and NCDEX). The app has an already set Market Watch for Nifty 50, Nifty Bank, Nifty IT, Sensex and the lot. Apart from this, the app also has an extensive derivatives section that has option chain, open interest analysis and roll over facilities. Advanced charting with more than 17 technical indicators like Super Trend & RSI, Drawing Tools and others. Screeners that help find market opportunities easily with just a few taps. Dedicated research calls section, alerts and live notifications are the other added features of the app. The most important bit though is that the app is free of cost and open for all to you. The only time you may have to login is if you wish to place a trade or view your account/transaction related report. One among the many best features of the app is its clean and neat UI. The app has won many awards namely, The Best Mobile App in Consumer Service, for The Best Use of Mobile Technology in Financial Sector, ABP BFSI Awards 2017 and the lot. All it takes is just 3 steps for Mobile Trading with this app. The users have to do is to just tap on the ‘T’ button, add the quantity and hit submit to place a trade. The app brings a lot of insightful market info to your fingertips. Edelweiss Mobile Trading, brings the whole of stock market to your pockets and lets you to access it from anywhere at anytime. The company also offers trading software for desktop and web platform to users. With this awesome app, a trader can make the right decisions on investments and increase his income in the right order. Edelweiss Mobile Trader is available on both android and iOS and is completely recommended for you to download if you wish to trade in the Indian stock markets. You only have seven seconds to make a first impression, and remembering someone’s name plays a crucial part in that. Name Skillz, now available on the App Store and Google Play, aims to help you foster strong relationships, close more clients, improve sales skills, and most importantly, gain respect from others. Name Skillz will walk you through three simple steps to eventually hit mastery. First and foremost, you’ll learn the most important part, visualization. Then you’ll learn up to 200 of the most popular names in the US, and apply your learnings in a virtual real life scenario. Meaning, you’ll actually be put to the test by recalling the names of people in groups! The app also includes Bonus Cards for those lifelong learners who particularly want to learn as much as they possibly can about the art of remembering names. Remembering names isn’t just for social butterflies or geniuses. Even an average Joe can remember the name of another average Joe. Download Name Skillz on the App Store or Google Play today! Raise funds & donate to charitable causes directly with 98 Cents! I get good vibes from 98 Cents, a new peer-to-peer charitable donation / fundraising app. Available to download now on Google Play, the app makes it easy to donate to charity, raise funds for charitable causes and receive financial aid if you’re in need of it. Often, when you donate to a large charity, the majority of your money doesn’t actually go directly to the cause. With staff members to pay, marketing campaigns to fund and so on, it’s difficult to know how much of your money reaches those in need. With 98 Cents, except for a small fee to process secure credit card payments, all of your money goes directly to the person or cause you’re supporting. Donations are completely transparent so donors and the community can see how and where donations are providing help. For those in need, 98 Cents gives them a way to receive donations and raise funds to help improve their situations. In the spirit of building a kind, honest community, 98 Cents vets people who want to raise money on the platform or receive donations to make sure it’s for a genuine cause. 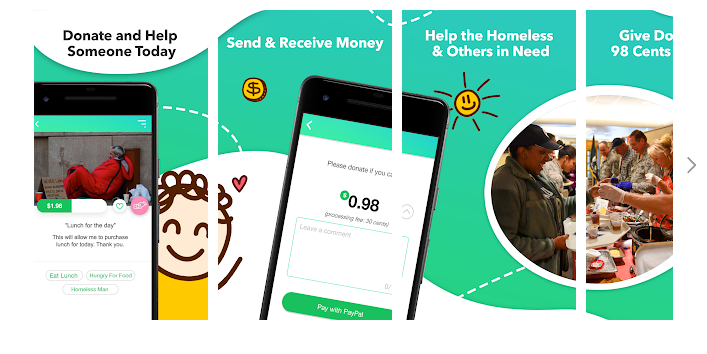 98 Cents is an app that will surely make a positive impact in many people’s lives, giving us a straightforward, transparent platform to donate our pocket change and do some good. Adding sketch effects in the picture are really enjoyable. You might be used or be using sketch apps but here I am introducing you to one app name as Pencil Photo Sketch. It’s available on the Android platform. Other than this, it is also very much simple to use. It’s easy to add sketch effects within your image through this app. Let’s come on the features of this app. Additionally being simple it is having 13 kinds of different effects. There is also an option to share the sketch image on social media. It’s a simple sketching photo editor. With this, you can easily share it on social media to let your image catch user attention. The working strategy of this app is quite simple which I already mention above. Only, you need to choose the picture on which you want to apply the effect. After that apply the effect through which you want to make your image special one. There is also an option through which you can change your image in the sense to crop and rotating. The app is offering the best way to grab sketch effect. I have no complaints regarding this app. It’s good in all sense. Moreover, it is a great way to increase likes and comments on your post. I found some interesting functions which I never got in any other app earlier. For instant, there is a cartoon photo maker through which your image will completely look like cartoon. Besides that, it is also having wax color effect and crayon effect. There is an option to share on the social media. There is downloading option to download the sketched image. 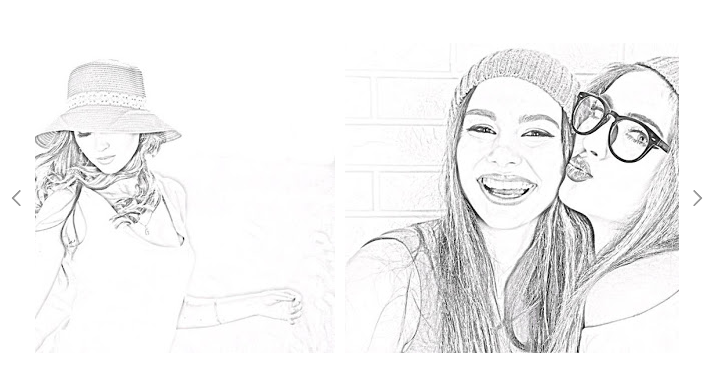 Pencil Photo Sketch is a wonderful app that provides the best way to get sketch effects. I highly recommend this app to everyone those who love to add sketch effects into the picture. Summary: Pencil Photo Sketch is one of the best apps for getting sketch effect. It is having cartoon effect, light sketch effect, color drawing & crayon effect etc.